For a swimmer, the feel of water is as natural as the feel of air. We live in the water, we know its strength, and we learn to use its power to our advantage. For most of us, swimming is as natural as walking. In fact, for many of us, swimming is more natural than walking. 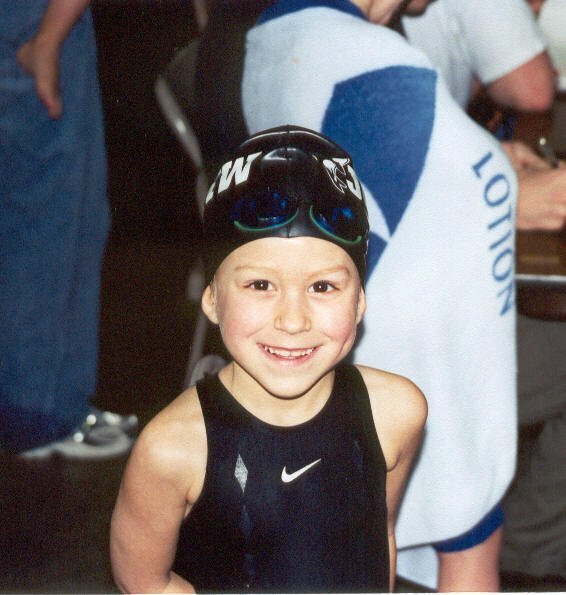 Katie Kearbey has known the feel of water for 17 years. Having swum since she was four, she is no stranger to wet clothes, wet hair, and wet homework. Kearbey loved the sport from her first stroke, but struggled with the disparities she observed between her own life and the suffering of others across the globe. “I’ve always been someone who wanted to do more to help people,” she says. In her mind, she could not reconcile the fact that 884 million people worldwide suffered from a lack of access to clean water while she swam in a 660,430-gallon pool every day. With the same amount of money she spent on one racing suit, ten families could have the life-giving power of water without disease. The average American uses 80 gallons of water per day for personal use, while many people in third world countries would be lucky to get their hands on a single cup of clean water per day. 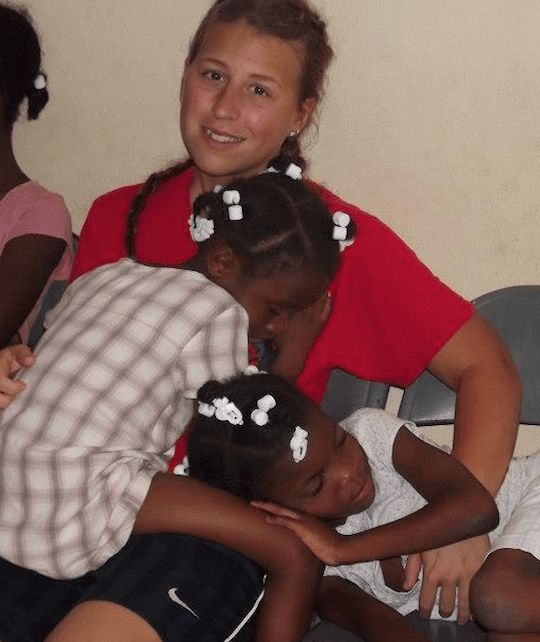 The turning point for Kearbey came in 2012, when she traveled to Haiti and witnessed firsthand the devastation of unclean water. While there, she met a “wealthy” family who had access to bleach. They poured the bleach in the water to clean it and then proceeded to drink the toxic mixture. She visited hospitals that were overflowing their capacities, filled with patients who were losing their lives to preventable diseases. She held children who could die at any moment due to contaminated water. Kearbey returned home to the States, but her heart never came back with her. No matter how hard she tried, she could not banish from her memory the image of a little boy drinking filthy water from a ditch. She could not fathom a child dying somewhere in the world every three minutes because he couldn’t access the water she inhabited on a daily basis. More than anything, Kearbey could not accept the thought of the same element that fills her heart with indescribable joy filling the hearts of others with sickening fear. “I asked my coaches, ‘Why do I swim?’ I needed to find a way to make my swimming more impactful, to make it bigger than myself,” Kearbey explains. Troubled by injustice but determined to make a difference, Kearbey created her own organization called Splash of H2Ope during her senior year of high school and committed to changing the lives of Haitians through water purification. In high school alone she raised $5,000 to buy life-saving water filters for families in Haiti. Each filter costs $100, and that filter provides up to 500 gallons of clean, potable water each day. 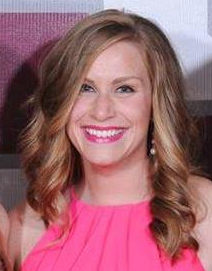 In 2013 Kearbey moved to Fayetteville to swim for the University of Arkansas. As her dream of swimming in the SEC became a reality, her vision for Splash of H2Ope was forced onto the backburner by the demands of being a student-athlete. With a jam-packed schedule that included engineering classes, Kearbey didn’t have time to run an organization. But that never sat well with her. After many months of agonizing contemplation, Kearbey made the gut-wrenching decision to quit the sport she loves in order to manage Splash of H2Ope and to turn it into a full-fledged nonprofit organization. Instead of making a simple splash with her organization, Kearbey is using her newly found free time to gear up for a tidal wave of H2Ope. Kearbey currently is planning multiple trips, open to everyone but designed specifically for swimmers, to visit Haiti in person and to deliver clean water to those in need. 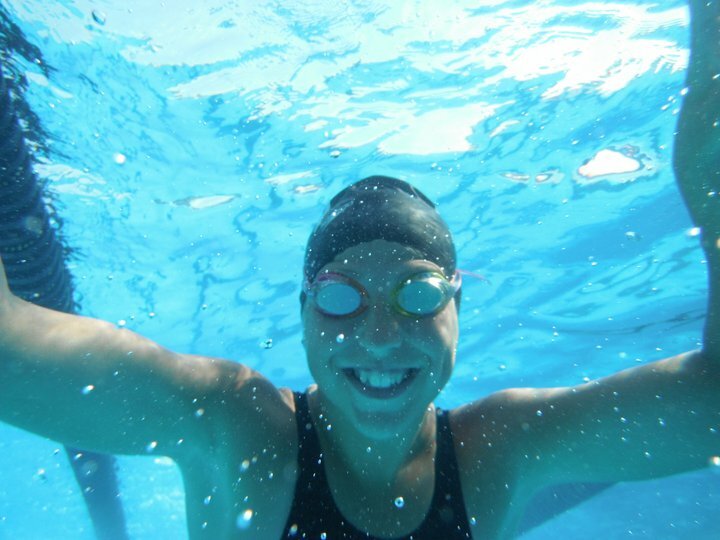 Kearbey’s competitive swimming experience enables her to understand the nature of the sport and the scarcity of breaks in athletes’ schedules, so she has plans for trips swimmers can take during Christmas Break, Spring Break, and the natural break between long-course and short-course seasons in August. On these trips, swimmers will witness firsthand the impact their element can have on an entire nation. They will be able to participate in work projects, medical care, and installation of water filtration systems, in addition to playing with adorable children. Before the trip each participant will be able to raise money for water filters and then distribute those very filters to families in Haiti themselves! Kearbey hopes to have the first trip of swimmers travel to Haiti this December. “How amazing would it be if God could use us as a swim community who love water to change a whole community of people who need water?” Kearbey asks with passion illuminating her face. In the next few months, Splash of H2Ope will become a nonprofit organization. Kearbey also is working on a program that will allow clubs to join together and sponsor water filtration systems. Some people try to tell others they are too young to make a difference. Some say it is impossible to change the world. 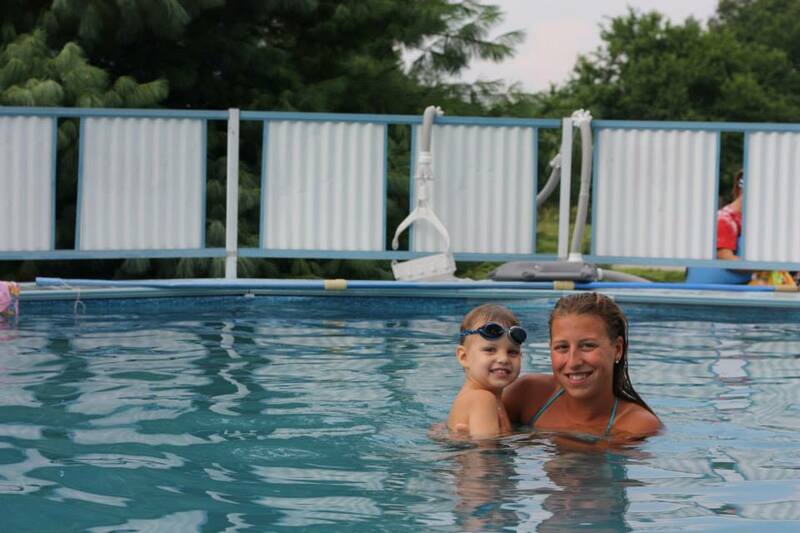 How can one swimmer possibly make a difference? To learn more about the Splash of H2Ope movement, check out the blog, follow @splashofh2ope on Twitter, or like Splash of H2Ope on Facebook. Would LOVE to have Decaturswimteam on board!!! Thank you everyone… Together we can make a HUGE impact! And thank you Swimming World!